抄録：　Global progress in addressing climate change through mitigation and adaptation has been slow, although policy tools are available and most countries now have some climate change policies. Climate change represents a tragedy of the commons caused by all humans, but one for which the damage is slow to accumulate and cannot be readily identified as coming from a single source. As a result, politicians are slow to act. The UNFCCC (United Nations Framework Convention on Climate Change) has had minor achievements over 21 years, although the recent mitigation decision on REDD+ (reducing emissions from forest degradation and deforestation) recognizes the roles that eliminating deforestation and forest degradation and improving agriculture can play in mitigating climate change. The Cancun Agreement also states that, for mitigation to be effective, adaptation is needed. There is a strong body of literature linking biodiversity to ecosystem resilience and goods and services. Any policies dealing with mitigation and adaptation must consider the important role of biodiversity in terrestrial system recovery and management, including forests, agro-forests, and agricultural systems. In production landscapes, policies need to consider the large landscape scale and be cross-sectoral in application, including among forest, agriculture, transportation, energy, and human health sectors. Finally, local ecological knowledge and scientific information should form the basis for such policies. 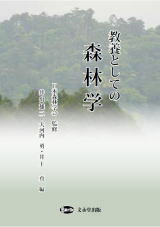 抄録：　Sustainable development requires establishing a functional balance between socioeconomic development and environmental protection, with traditional knowledge (TK) held by indigenous and local communities (ILCs), including traditional practices of conservation and sustainable use of natural resources, playing an integral role in achieving global sustainable development goals. This paper looks at the inclusion of TK in two principle regimes: the United Nations Convention on Biological Diversity (CBD), and the International Treaty on Plant Genetic Resources for Food and Agriculture (ITPGRFA). It explains TK within this context, summarizes key elements of applicable legal frameworks, and analyzes certain legal measures from domestic implementation of the treaties. It suggests that traditional knowledge of ILCs provides a channel for sustainable development which has been nurtured for centuries and should be more effectively integrated into decision-making procedures through greater protections for TK and local empowerment of ILCs for governance and equitable benefit sharing. 抄録：　The European continent still has a rich heritage of rural landscapes built up over thousands of years. The UNESCO-sCBD Florence Declaration of 2014, describes it as being predominantly a biocultural landscape, as it assimilates economic, social, cultural, and environmental processes in time and space. This definition also includes the forests, which have been affected by several centuries of human action and are also a part of the European cultural heritage. However, an approach to forest landscapes often employing the same tools used for nature conservation has led to a definition of management tools mostly based on ecological characteristics. The origin of forests and woodlands is rarely interpreted as the result of human activities and protected and managed accordingly. The three pillars on which Sustainable Forest Management (SFM) in Europe are based are ecological values, economic values, and sociocultural values. However, no political resolutions requiring countries to develop strategies and carry out actions for the preservation of cultural forests have been developed so far. The fact that cultural values currently play a limited role in SFM indicates the scant consideration given to the role of culture and history, as well as the lack of a comprehensive landscape approach. Failure to effectively and coherently address culture and history may very well be an emerging weakness that needs to be reconciled, especially now that the landscape approach is proposed on a global scale as a new perspective for sustainable development. One of the consequences of this failure has been the widespread application of an idea of 'naturalness' to places that are not natural, threatening the conservation of the cultural identity of local populations and the historical values of forests, and favoring processes of abandonment and renaturalization. The present paper advocates the practical implementation of existing tools for protecting cultural forest landscapes, such as the MCPFE Guidelines for Social and Cultural Values in SFM and the UNESCO-sCBD Florence Declaration. 抄録：　Almost all the boreal forests in the Scandinavian peninsula have been influenced by human societies, and, therefore, natural, original forests are very rare. In this article, the interaction between the old traditional forest uses and the present management practices are analysed and discussed. Historical uncontrolled use, slash-and-burn agriculture and overexploitation of forests for saw milling industry led to the establishment of regulations, forest acts, forestry education and forest management plans to prevent devastation during the 19th century. The various uses of forests include their direct land use, preservation of landscapes, building of forest structures, historical sites, human recreation (i.e., establishing mental relationships between people and the forest), forest settlements and rural development. Current boreal forest management is based on a multifunctional approach as applied by a "close-to-nature" management style. This management style is premised upon the notion that "everyman's right" allows them to freely roam the forest on foot or by bicycle and enjoy activities such as pick berries and mushrooms in the forests. Currently being discussed are new approaches regarding commercial use of ecosystems on private land as it relates to the "everyman's right" to enjoy the forest. Within the context of the modern lifestyle, forests help people recover from stress and provide physical inactivity. Research efforts are underway to find bioactive components in the forest for medical products. While the forests are mainly owned by private entities and families, the challenges of the future will be the lack of management, in the means how to reach the owners and how to motivate them.